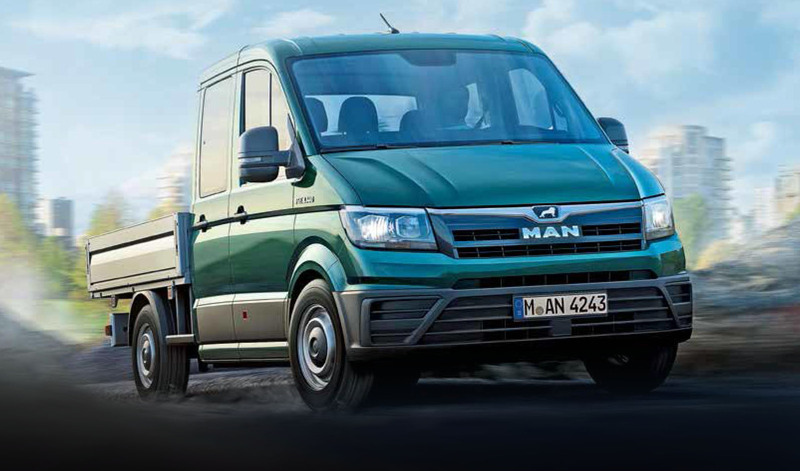 The vehicle class previously starting at 7.5 tonnes will now begin at 3.0 tonnes of admissable total weight: With its new TGE, MAN is putting a light commercial vehicle on wheels that will set forth to find users primarily in distribution traffic and construction businesses. From 3.0 to 44 tonnes: With a weight span of 41 tonnes, MAN advances towards becoming a full-range provider while finding the right answer for every transport need. Conceived as a flexible tool for professionals, the new MAN will primarily cover the smaller jobs in logistics and construction businesses. Yet other sector-specific demands made by trade or passenger transport will also become new fields of application for the small motor truck made by MAN, when dealing with transport loads up to 5.5 tonnes of admissable total weight. MAN clearly applies its leading role and experience in the building trade and transport construction to the MAN TGE as well, while offering to customers not only its established competence in the light commer-cial vehicle segment, but also by lending support in finding specific solutions for their line of business. It is also certain that the pro-fessional support expertise anchored in truck know-how, as well as a wide range of other services, will set standards in the TGE segment and will enthuse its audience in the long run. This would especially include cus-tomer-friendly support around the clock. OVERALL, THE MAN TGE offers two wheel-bases, three roof heights and likewise three vehicle length choices. Other than the closed box-type van and glazed hatchback, addition-al chassis with single- or double cabins that come as a standard order with platform body also enhance the bodywork range. There is much variety in offered drive trains as well.